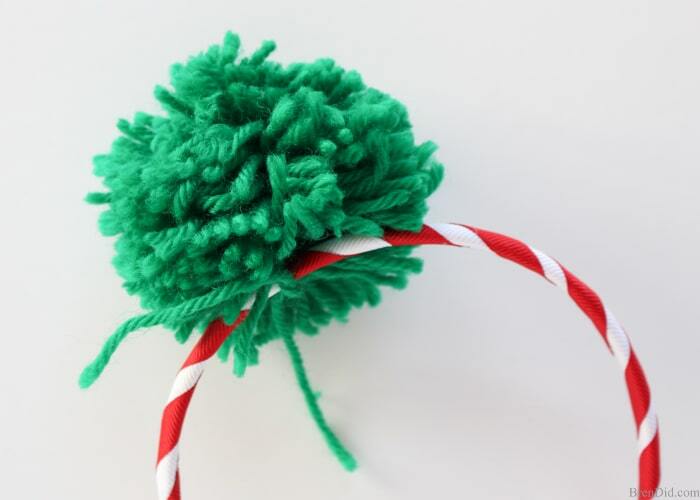 Learn ho to make an easy pom pom headband to add a fun and trendy twist to any outfit. 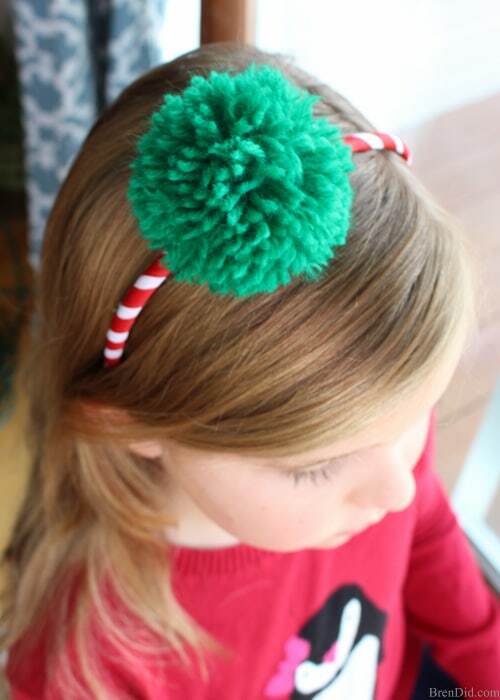 Pom pom headbands are simple to make with a few affordable materials. If you have long hair or a child with long hair you know that headbands are a great way to keep hair in check while still being fashionable. I especially love little girl’s hairstyles that include novelty headbands. 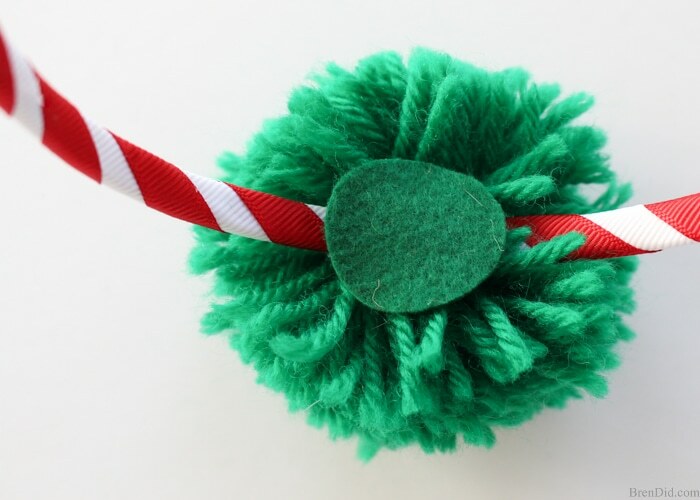 They keep hair tidy without pulling and add a special touch to holiday outfits. 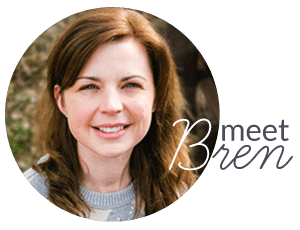 Creative headbands are an adorable addition to any outfit, but can get expensive. 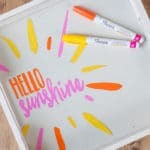 Some styles can cost more than $12 each! 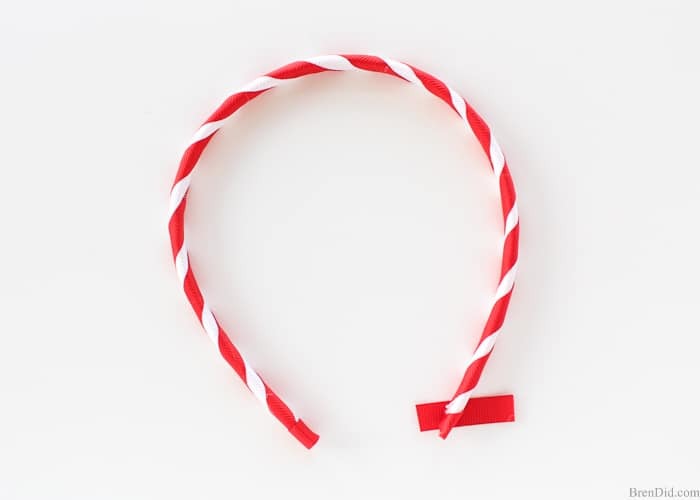 1 – Wrap the headband with one color of grosgrain ribbon in a diagonal direction. 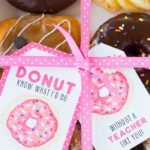 Secure the back of each wrap of ribbon with a dot of hot glue. 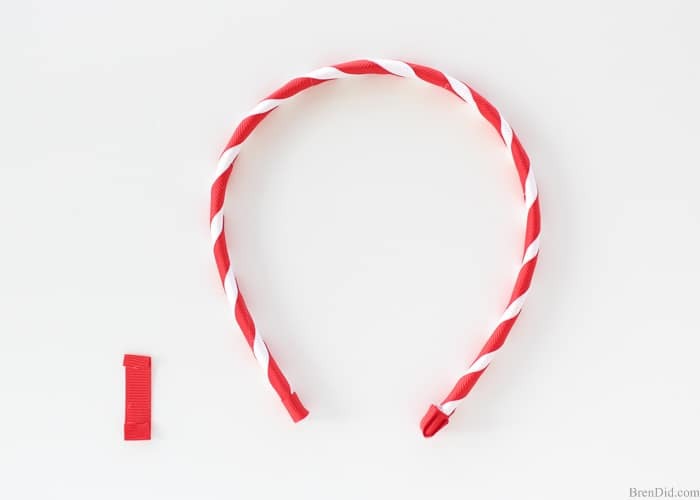 2 – Wrap the uncovered spaces of the headband with the second color of grosgrain ribbon in a diagonal direction. 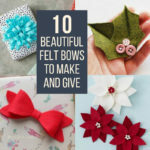 Secure the back of each wrap of ribbon with a dot of hot glue on the inside of the headband. 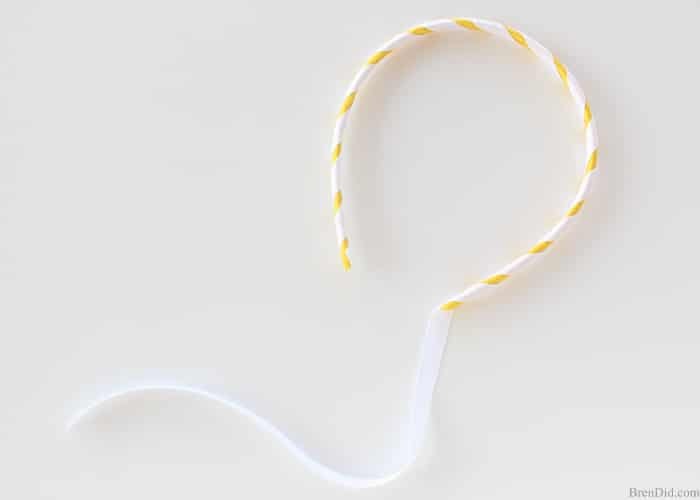 3 – Wrap each end of the headband with an inch of ribbon. Secure inside the headband with a dot of hot glue. The left side of this headband is already wrapped. 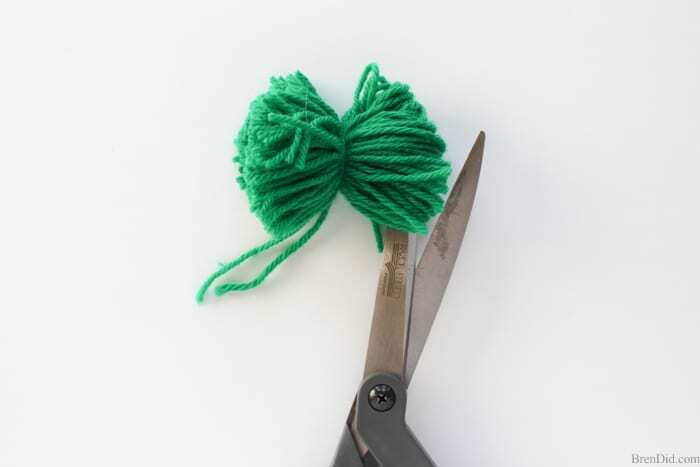 4 – Cut a 1.5 inch piece of ribbon and glue each end under to prevent fraying. Glue up each end of the headband to cover the tip. The right side of this headband is already wrapped. 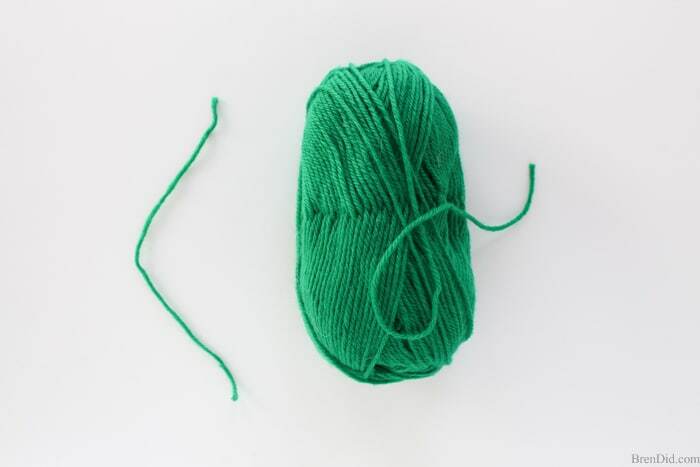 1 – Cut a 8-10 inch piece of yarn. 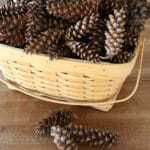 2 – Place the yarn between your fingers. 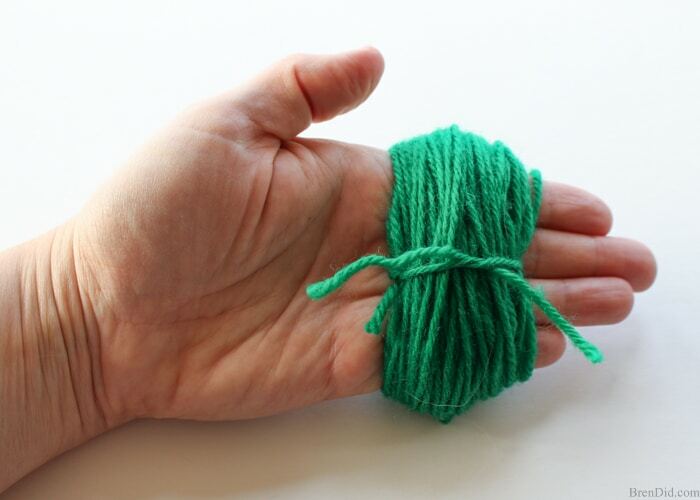 3 – Wrap yarn from the skein 75-100 times around your hand. Tie the center piece of yarn loosely around the center. 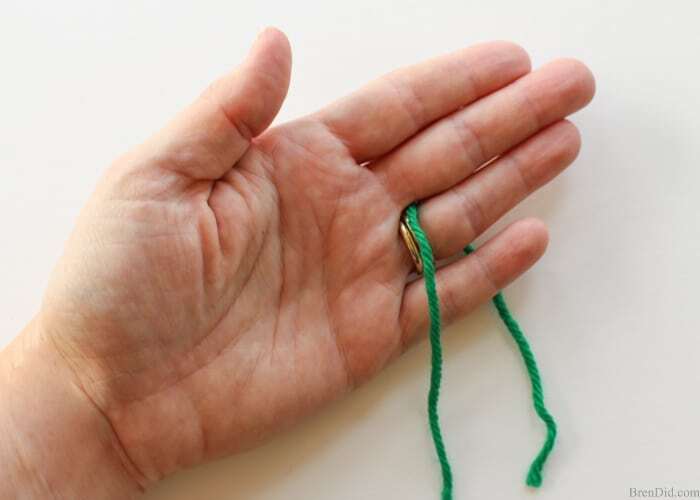 4 – Slide the yarn off your hand and then tie tightly 2 times. 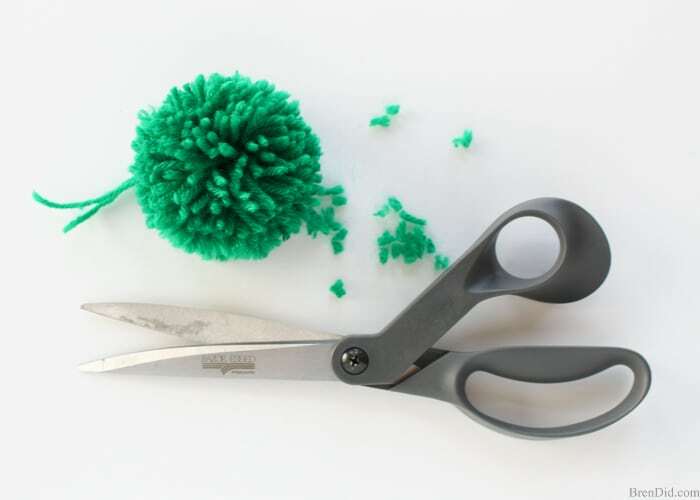 5 – Cut the loops on each end of the pom pom. DO NOT cut the center ties. 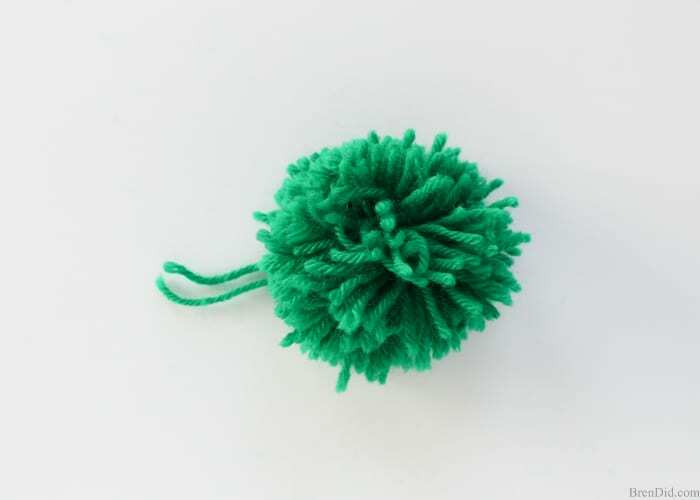 6 – Roll the pom pom in your hands to shape it into a sphere. 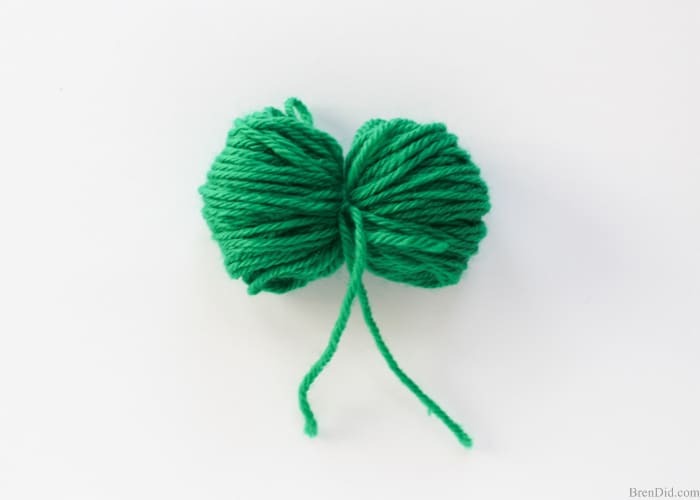 7 – Trim the pom pom into a perfect sphere. Do not cut the center ties. 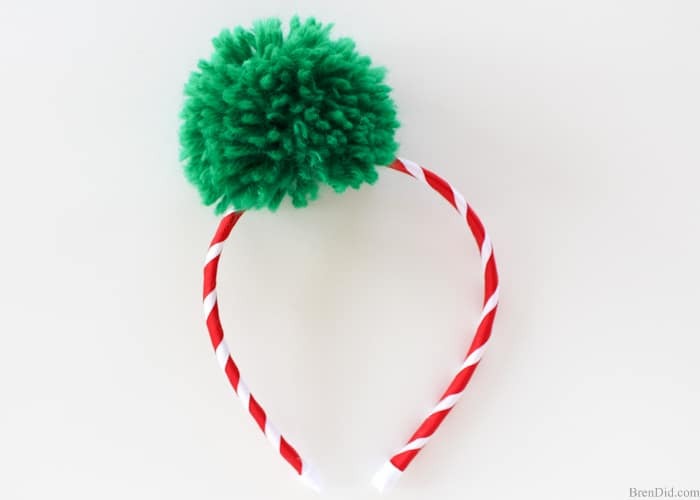 1 – Tie the pom pom to your headband, it should be off-center. 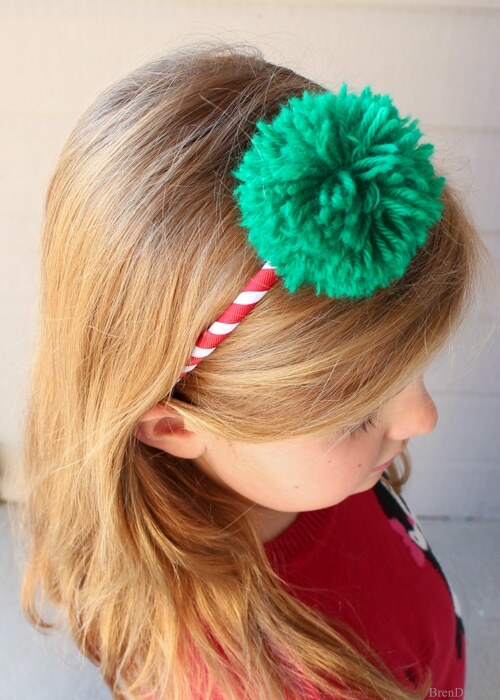 2 – Cut a small piece of felt of leftover ribbon and glue it to the headband and bottom of the pom pom to secure. 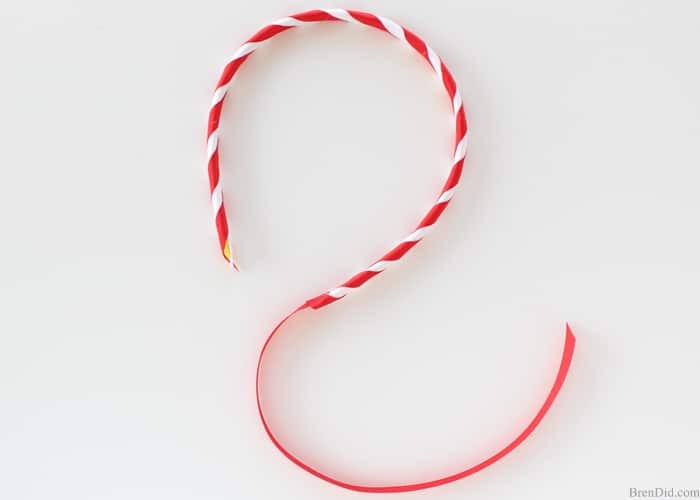 3 – Enjoy your headband! 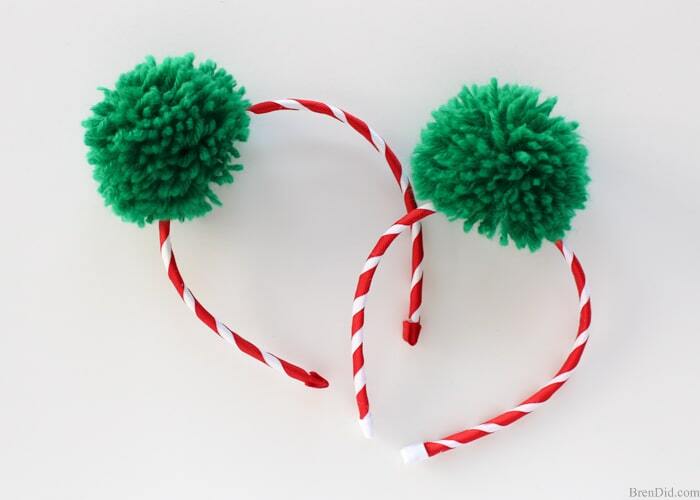 Pom pom headbands are also easy to customize to any outfit… you can make different color combinations for every holiday. 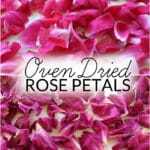 Try making one today! 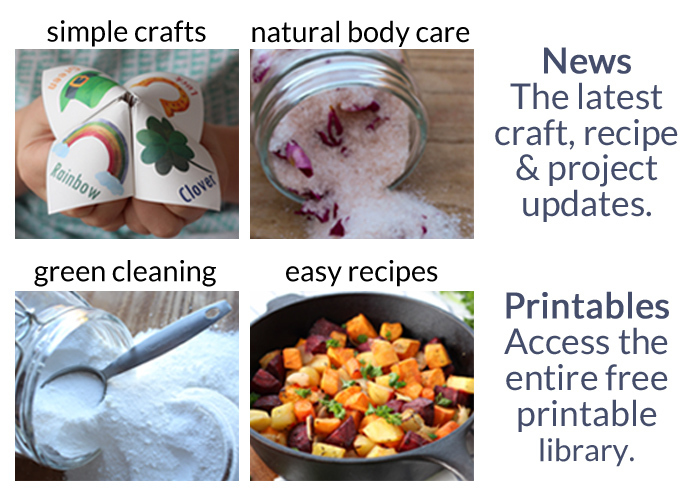 Hope you love the project!